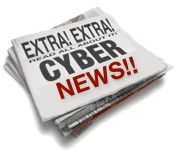 For more information on any aspect of the Cyber Risk & Insurances Forums work please contact us directly. A new scheme which enables SMEs to apply for up to £5,000 to cover cyber security, including Cyber Essentials advice and certification, is now open for applications. On 16th July the Government announced a new Innovation Voucher scheme. This complements an existing scheme and enables SMEs to apply for funding towards the cost of cyber security advice and certification, including Cyber Essentials. The current round for applications closes at midday on 20 October.